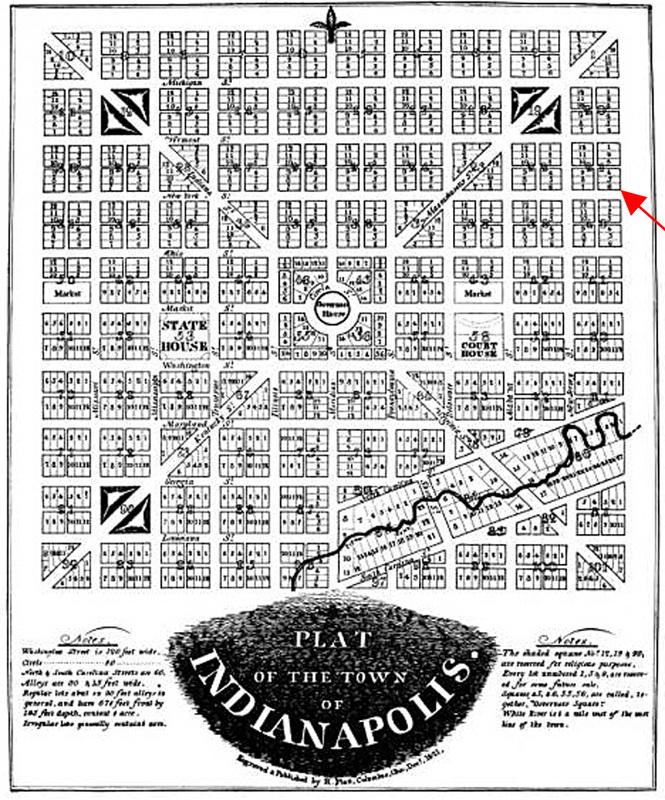 The land on the northwest corner of E. New York Street and N. East Street was part of Alexander Ralston’s original 1821 Plat of the Town of Indianapolis. Situated on the easternmost edge of the new state capitol’s city limits, the building lot was originally called Lot #6 in Block 21 in the area commonly referred to as the Mile Square. The lot at New York and East Streets was on the eastern edge of Alexander Ralston’s 1821 Plat of the Town of Indianapolis. 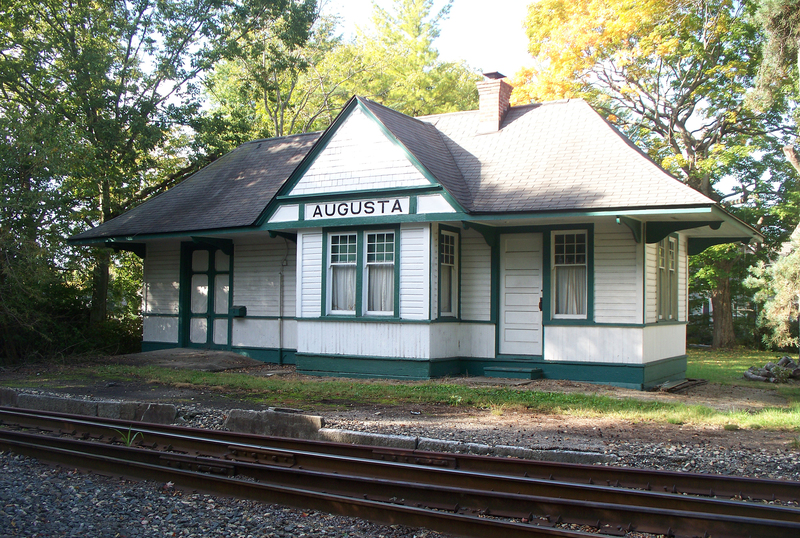 In the years before anything was built on the lot, the property was owned successively by Samuel Vance Butler Noel, John Jamison, and John H. Vajen. Vajen renamed the group of lots and renumbered them. The subject lot became Lot #1 in Vajen’s Subdivision, which remains the property’s legal description today. 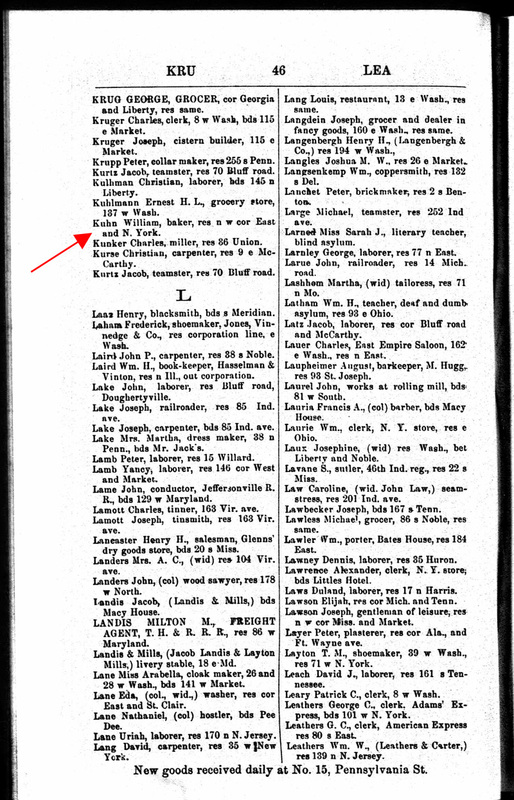 The earliest easily accessed record indicating a structure on the lot was the 1863 Indianapolis City Directory, published by H. H. Dodd & Co., a local printer. As the information in early directories was generally a little dated by the time these annual publications were printed, the construction was most likely completed in 1862. The structure on the northwest corner of East and New York Streets was built by William Kuhn (1824-1874). Kuhn and his wife, Nannette Hesselbach Kuhn (1825-1902), and their first child, William Frederick Kuhn (1854-1935), immigrated from Stuttgart, Germany, to the United States in 1855. Within the year, Kuhn was operating his own bakery on the south side of E. Washington Street, between New Jersey and East Streets. It was just east of the Little Hotel, which is today the site of a La Quinta Inn. Six years later, Kuhn moved his business and his family — which by then had grown to six children — two blocks north. The new building originally had the street address of 150 N. East Street. It was a two-story brick structure covered with stucco. It is unknown if the stucco was original or added later. The building was designed to house both a commercial enterprise and a residence under one roof. After William Kuhn died in 1874, his widow and children continued to operate the bakery for about another five years. 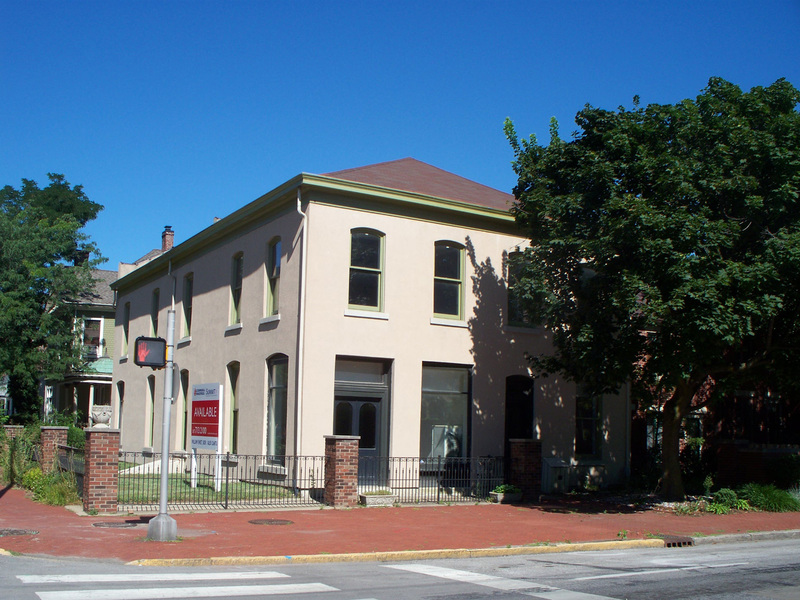 By the time of the 1880 Census, however, they had moved to 303 E. Market Street. Soon thereafter, the Kuhn children began to marry and start their own families. Interestingly, all of the siblings built homes in the Old Northside within a short distance of one another. William F. Kuhn (1854-1935), a banker, built a home at 1404 Broadway Street. 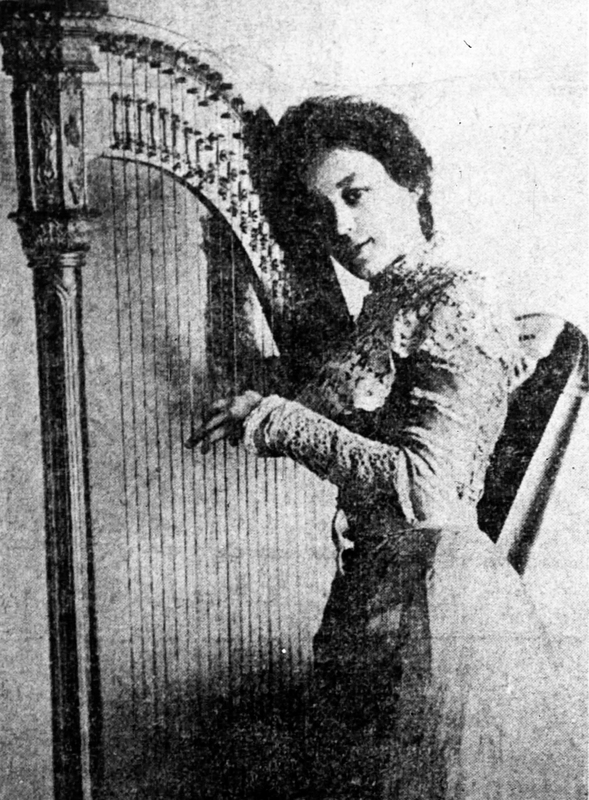 Lena Kuhn Mummenhoff (1856-1949) and husband Frank, a merchant, built a home at 1403 Park Avenue. Bertha Kuhn Stein (1861-1932) and husband Theodore, president of an insurance company, built a home at 1410 Central Avenue. Amelia Kuhn Bohlen (1863-1958) and husband Oscar Diedrich Bohlen, a well-known architect, built a home at 1418 Broadway Street. 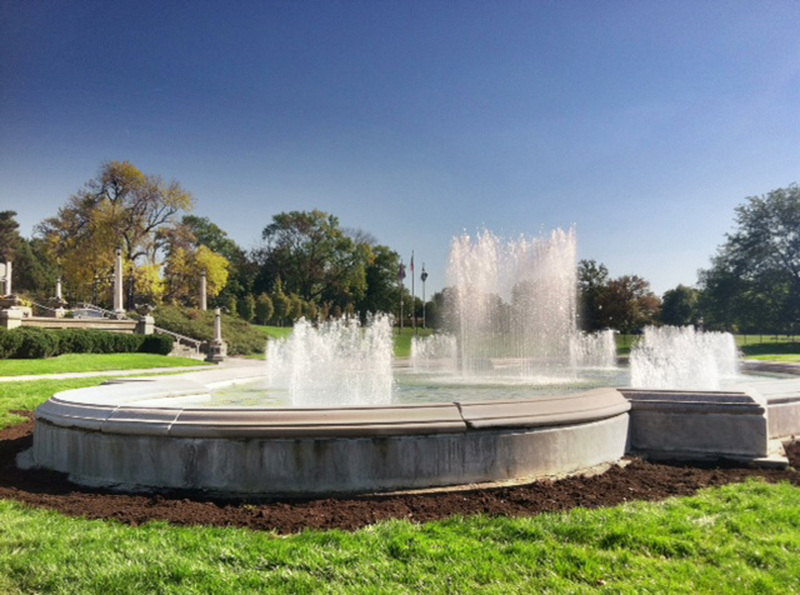 All of the above are buried in Section 15 at Crown Hill Cemetery. On the 1880 Census, the new occupants of the building at East and New York were Andrew W. McQuat and his second wife Barbara, who operated a stove store. On the 1900 Census, the owners were Gottlieb and Fannie Kiser, who operated a grocery. On the 1910 Census, Richard D. and Lillie Finley were the propriotors of a barber shop. All of these business owners appear to have lived in the residential portion of the property, in addition to conducting their businesses in the commercial portion. Within a few years after the 1910 Census, the commercial and residential areas of the building were not usually both occupied by the same people. The residential portion of the building began to be listed as The Marburg Apartments. In 1914, 302 N. East Street was occupied by Oliver O. Kelly, a grocer, and the tentants at 304 were J. E. Tuttle, E. J. Morel, and A. J. Keppel. 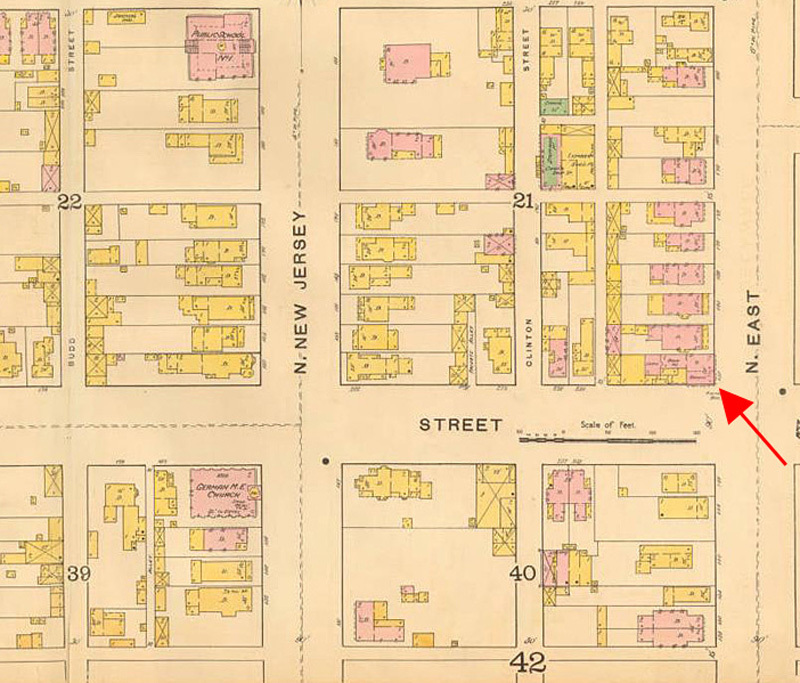 In the 1917 city directory, 302 N. East was occupied by William Gauer, a grocer, and the tenants at 304 were John E. Tuttle, Harley H. Giltner, and William Muenchen. On the 1920 Census, all of the occupants were listed as renters. In the commercial space at 302 were Henry L. Wessels, a draftsman, and wife Florence. In the apartments at 304 were Retta Giltner, Edna A Smock, and William Shane. In the 1930 city directory, 302 was vacant, and The Marburg Apartments at 304 were rented by Robert Wells and Clara Pitts. In the 1940 city directory, 302 was again vacant, and 304 was occupied by Jack L. Sherman, Charles C. McKinney, and Dorothy Anderson. In the 1951 city directory, 302 was occupied by Wilbur Carson, whose business was listed as storage, and the apartments at 304 were rented by William S. Keen, Francis E. Russell, Loy S. Bush, and Arthur Lenick. In the 1960 city directory, 302 was vacant, and 304 was occupied by William Lower, Roy Hammer, and McLuin E. Taylor. In the 1970 directory, there was no entry for 302, and 304 was occupied by Ed Goodwin. In the 1980 city directory, 302 was occupied by the law firm of Johnson Kennedy Keitley Owens Pfleging and Phelps, and only one tenant, Arthur T. Moye, was listed at 304. At some point in the 1980s, the apartment units at 304 were converted to office space. The 1990 city directory indicated the entire building was occupied by White and Johnson, Attorneys. 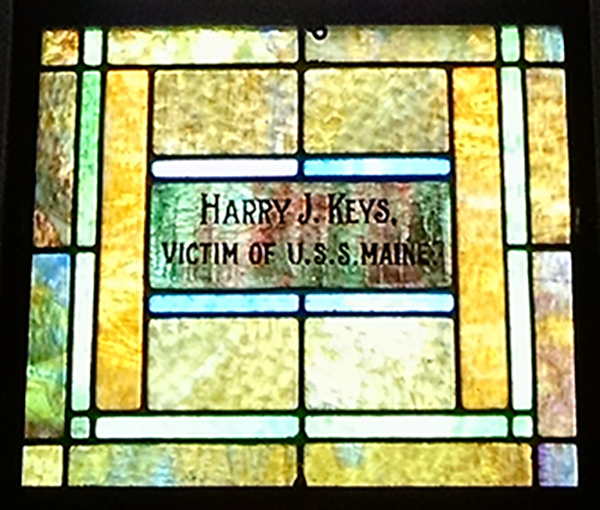 Among the lawyers practicing there were Frank J. Hanley II, Charles D. Hankey, Darrow A. Owens, Daniel J. Coffey, and Fran Quigley. 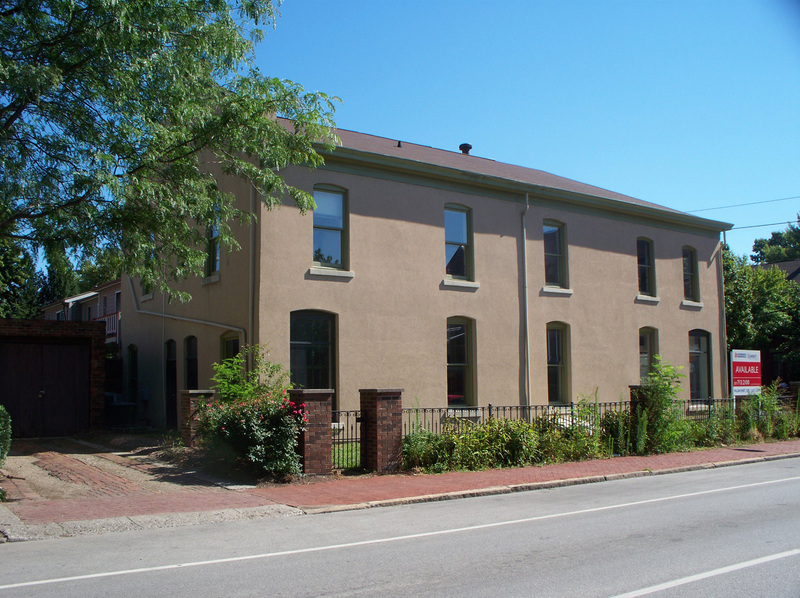 Located in the Lockerbie Square Historic District, it is conveniently located to all of the exciting things now going on in downtown Indianapolis.